These Bailey 530 Series Parallel Bars are extremely versatile, economic and ideal for facilities where free standing bars are preferred. Pictured with 94F Fixed Child Hand Rail. These Bailey 530 Series Parallel Bars are extremely versatile, economic and ideal for facilities where free standing bars are preferred. Height adjustments accommodate school age through adult sizes. 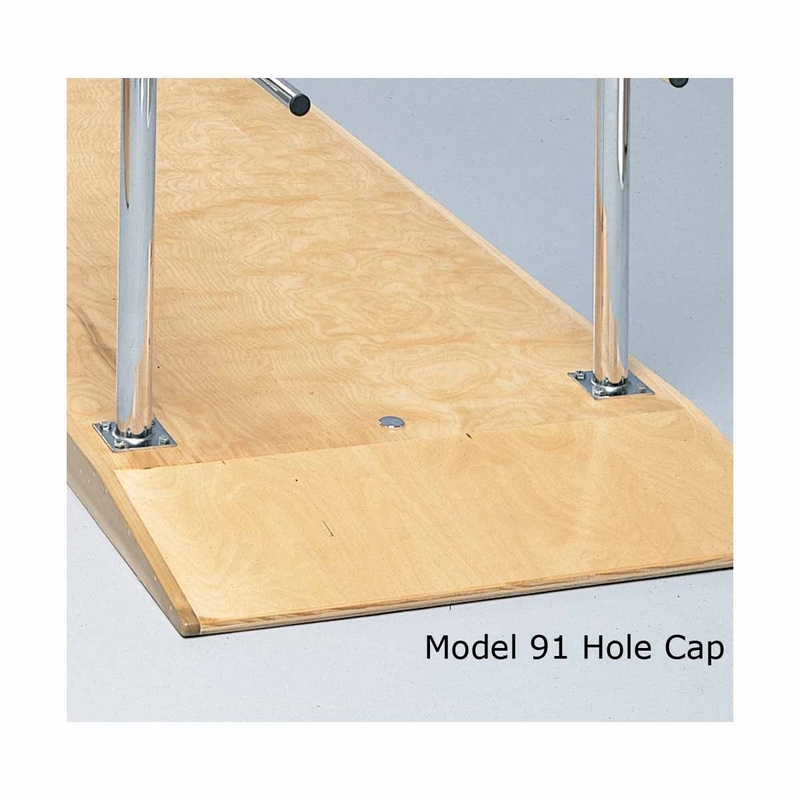 With the addition of Model 94F Fixed Child's Hand Rail, it can be used by even very young school children. Platform is made from birch and poplar hardwoods. Model 530 Parallel Bars - 10' Hand Rails, 201 lbs. 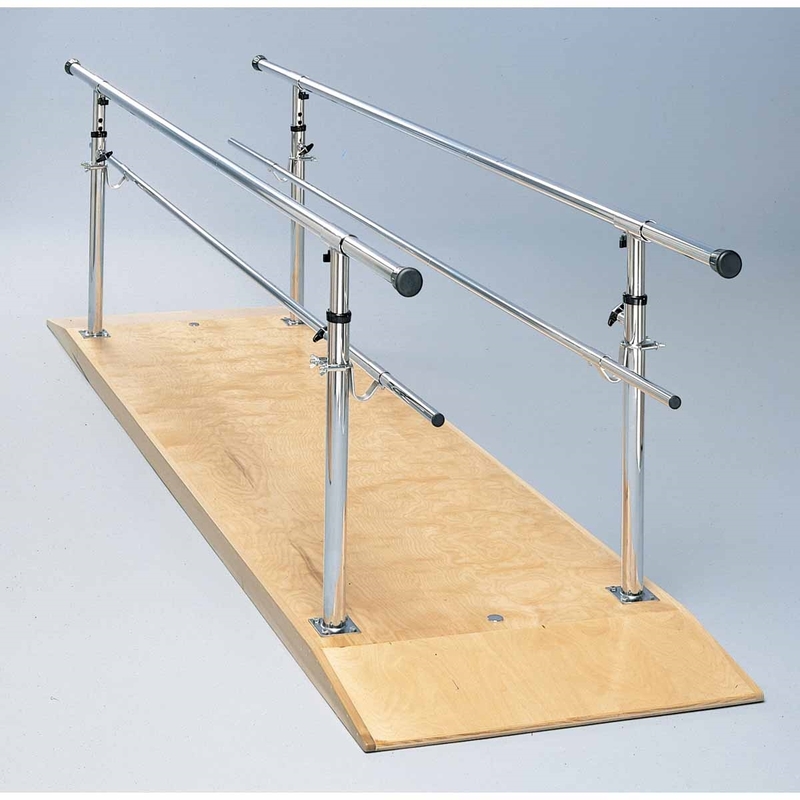 Model 532 Parallel Bars - 12' Hand Rails, 224 lbs. 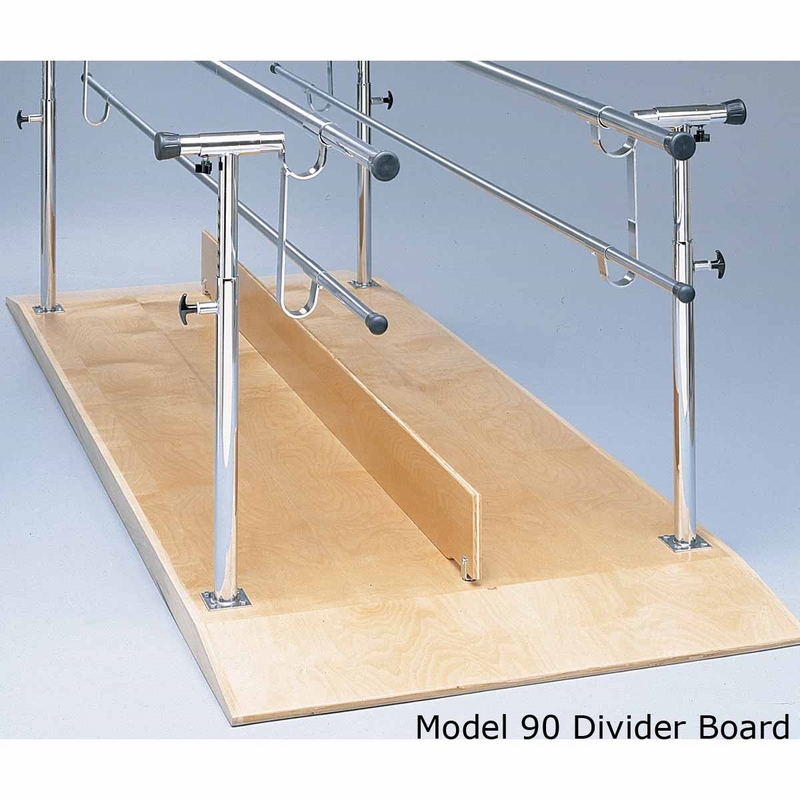 Model 530 - 10' x 30"
Model 532 - 12' x 30"